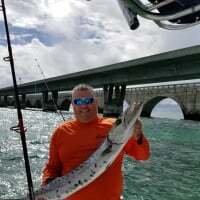 Well today wasn't as productive for my wife and I. I thought for sure with the near full moon the bite would have been hot; however the other conditions were not ideal. We had the wind going against the tide, which made it difficult to anchor on our marks. 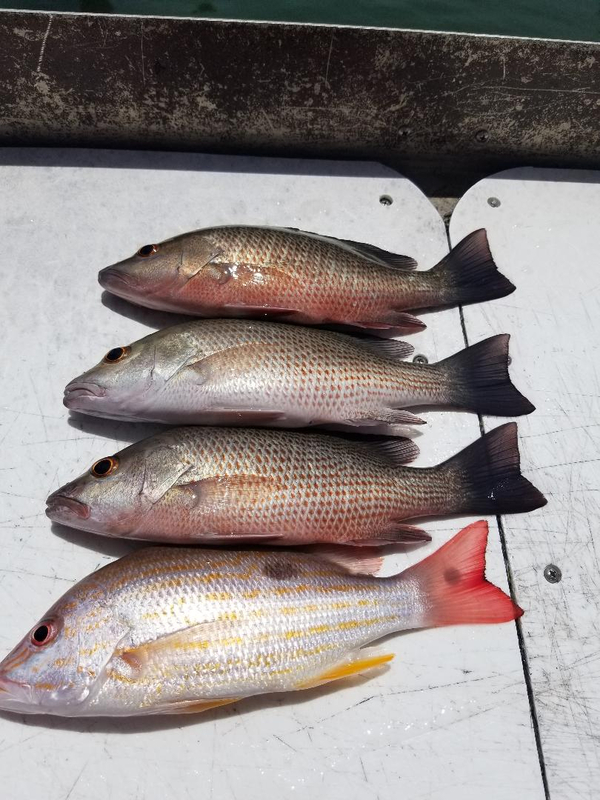 We ended up catching 3 short Mutton snapper, short grouper, a soap fish, a short sheepshead, a decent jack carvel, a few lane snapper, only 1 was legal, and about 10 mangrove snapper, 3 which were legal. I guess every trip cant be like the last one. All in all I was happy with the trip. Its just always nice to be on the water. Ditto..."It's just always nice to be on the water." Got plenty for dinner, any day on the water is a good one..